Join us as a volunteer and help to make NaCOT’s dream a reality – to create a national home for the spoken word. You could assist with presenting the best in public performance, including On the Border our flagship poetry series; with arts-based education for children, adults and organisations; or providing important outreach work for the disadvantaged and the unheard. There is a wide range of roles you can choose from and you will find volunteering with NaCOT an immensely rewarding experience. 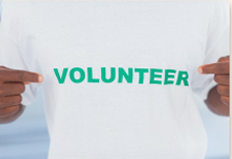 If you would like to volunteer we would love to talk to you.